New Opportunities for Justice in Sri Lanka? 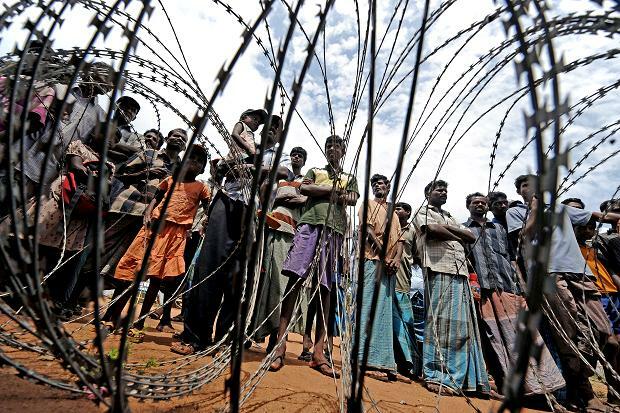 Very few people doubt that crimes under the jurisdiction of the International Criminal Court (ICC) were committed during Sri Lanka’s bloody civil war – especially in the final days of the conflict when military and security forces crushed the remaining remnants of Tamil resistance. But a new report, endorsed by an impressive array of international jurists, released by the Sri Lankan Campaign for Peace and Justice suggests that the commission of crimes against humanity didn’t end with the conclusion of the civil war. 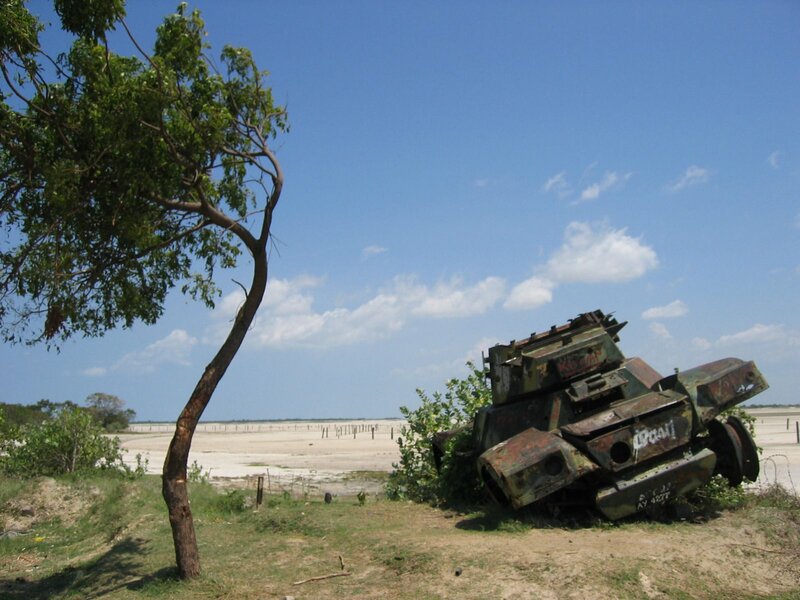 Until now, international debate about Sri Lanka has focused mainly on what happened during the last months of the war in 2009, when thousands of civilians perished as government forces crushed the last pocket of Tamil Tiger resistance along the northeastern coast. But this new report is the first to claim that the government’s actions after the war, and through to the present day, include crimes of comparable gravity. And these findings come at a crucial moment, just when the UN’s Human Rights Council is debating what to do about Sri Lanka’s failure to comply with its last year’s resolution calling for an “independent and credible investigation”. To date, virtually nothing has been achieved in terms of justice and accountability in Sri Lanka since the end of the civil war. Despite some pressure from the international human rights community, the government of President Mahinda Rajapaksa has largely been able to shrug off pressure to hold perpetrators of international crimes to account. Sri Lanka’s rulers see all this as meddling. In recent speeches Mr. Rajapaksa has accused his Western critics of duplicity, talking of law and rights when they really want to do down his country, proud conquerors of terrorists. He expects such talk to go down well with nationalist-minded voters. Sri Lankan diplomats flit to Geneva to deflect criticism. They even suggest that Indian peacekeepers, present in the late 1980s, may have carried out massacres. The likelihood of any ICC intervention into Sri Lanka – despite its potential merits – is zero-to-none. Sri Lanka is not a member state of the ICC. 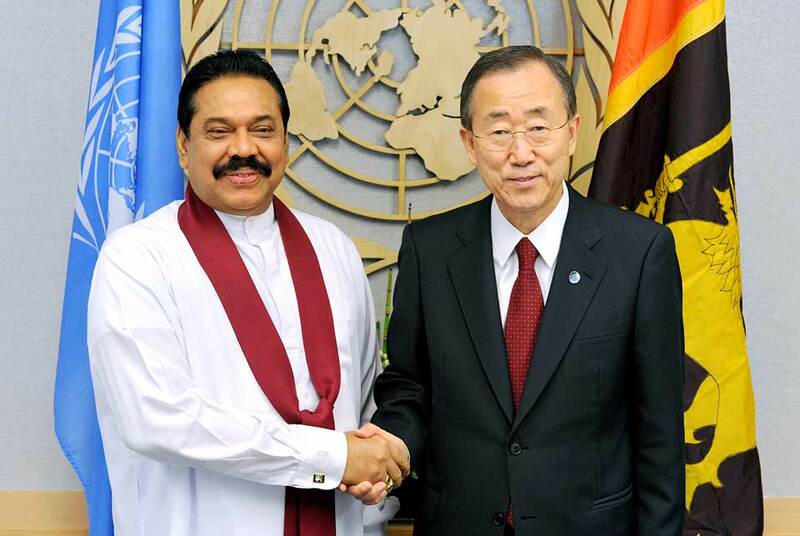 As a result, the UN Security Council would likely have to refer the situation in Sri Lanka to the Court. However, outside of the international justice and human rights community, there is little political appetite for a full-scale investigation into alleged atrocities and international crimes in Sri Lanka – during or after the civil war. There have been protests, boycotts of conferences and lofty speeches on the need for justice but little in terms of tangible developments. Of course, these acts shouldn’t be derided as they may someday amount to more concerted action. But that day isn’t likely to come in the near future. Theoretically, another option would be for the Sri Lankan government to refer itself to the ICC. It goes without saying that this isn’t going to happen. The government knows full well, that any criminal investigation would focus primarily on the alleged crimes of government forces. The ICC would almost certainly have the Rajapaksa administration in its cross-hairs. At the same, there are undoubtedly those who believe that ICC involvement at this juncture could exacerbate rather than ease tensions and divisions in Sri Lanka. These voices should be listened to before any action to get the ICC involved is considered. Since its outright military victory over the Liberation Tigers of Tamil Eelam, the Rajapaksa government has been in full-control. The ICC has never intervened in order to investigate a government that has the capacity to clamp down and retaliate against civilians to the extent that the Sri Lanka government does. An inquiry mandated by an intergovernmental body like the Human Rights Council would produce a more complete record of the scale of civilian suffering, and would challenge the Sri Lankan government’s denials that government forces were responsible for any significant loss of civilian life. A commission is also likely to uncover evidence of abuses by the defeated Liberation Tigers of Tamil Eelam in a form that would be hard for Tamils and Tamil organizations to deny. That would deflate a romanticization of the Tigers among Tamils that keeps alive Sinhalese fears that the Tamil insurgency might resume, and also gives the government an excuse for continued militarization and repression. By showing survivors of wartime abuses that the international community hasn’t abandoned them, a commission mandated by the council could also undercut growing calls by Tamil diaspora organizations for more radical measures, and encourage victims of rights abuses from all of Sri Lanka’s ethnic and religious communities (the country’s main faiths are Buddhist, Hindu, Muslim and Christian) to continue seeking an end to institutionalized impunity. Such an inquiry won’t solve all of Sri Lanka’s problems; the island’s crisis of accountability and democratic governance runs too deep and is too complex to be resolved quickly. Nonetheless, increased authoritarianism, Sinhalese ethnic triumphalism and simmering Tamil resentment are clearly not the ingredients for a secure future. Both justice and reconciliation are needed for the Sri Lankan body politic to one day be healed. The tireless efforts of groups like the Sri Lankan Campaign for Peace and Justice and individuals like Navi Pillay and Louise Arbour are praiseworthy. But to effect tangible results, they know that they need the backing of the wider international community of states – those same states which have been unable to achieve almost any degree of justice and accountability in Sri Lanka since the civil war ended. On 26 March, the UN Human Rights Council will vote on a resolution that may establish a commission of inquiry. Many hope the international community will finally be able to break the deadlock. This entry was posted in Commission of Inquiry, Crimes against humanity, Sri Lanka. Bookmark the permalink. 1 Response to New Opportunities for Justice in Sri Lanka?